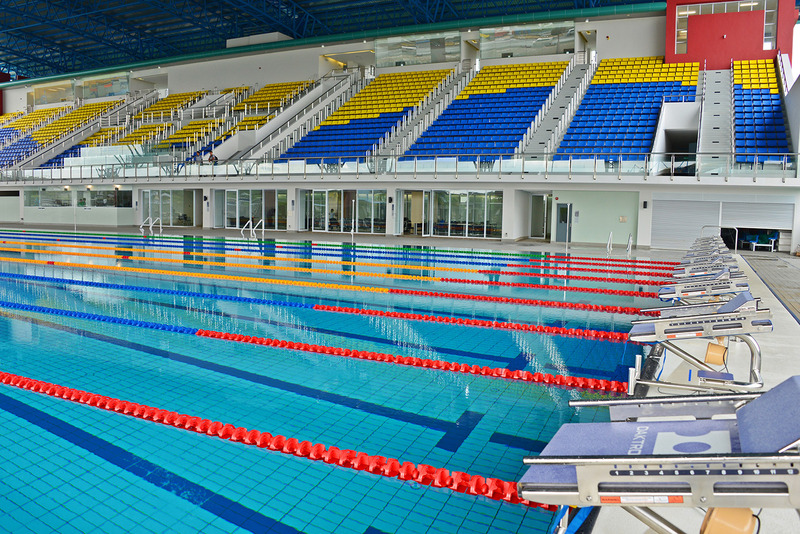 Also known as the Sarawak Aquatic Centre, this fully integrated sports facility is one of HSL’s proudest achievements. It served as one of two centrepieces of the 2016 Malaysia Games, and was renamed the Pandelela Rinong Aquatic Centre in honour of Malaysia’s diving queen, who won Silver and Bronze medals in the 2016 and 2012 Olympics. Since March 2017, the centre has also been opened to public use, besides serving as a training and competition facility. Weekends at the aquatic centre are often a lively affair, with families and friends taking a dip in the pools, and most importantly, a platform for Sarawak’s young swimming stars to showcase their talents. The aquatics centre is located at the Sarawak Sports Complex in Kuching, and built in accordance to international standards. After the 2016 Malaysian Games, the centre also hosted the 2017 SEA Games. The facility consists of an Olympic-size competition pool, diving platforms, training and leisure pools. 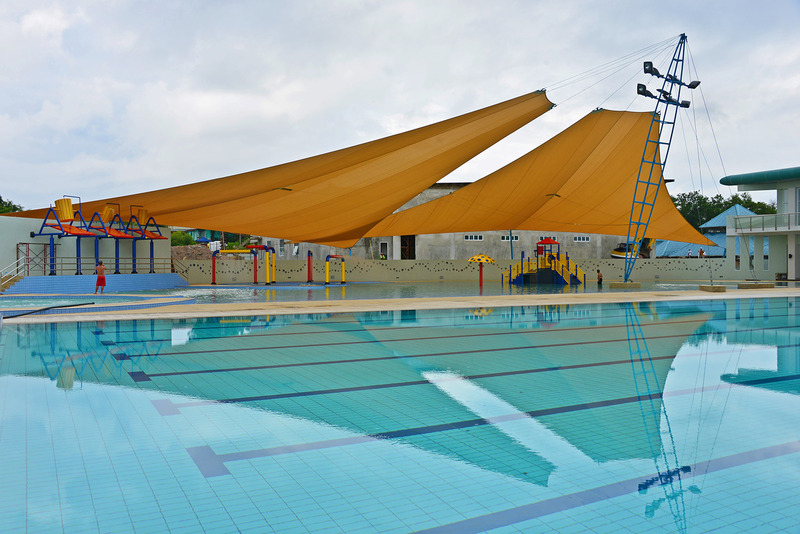 All pools were built in compliance with International Swimming Federation (FINA) standards and were approved by the Amateur Swimming Union of Malaysia. The vast swimming complex includes ample parking spaces, conference room and LED screen, with a seating capacity of 2,070. 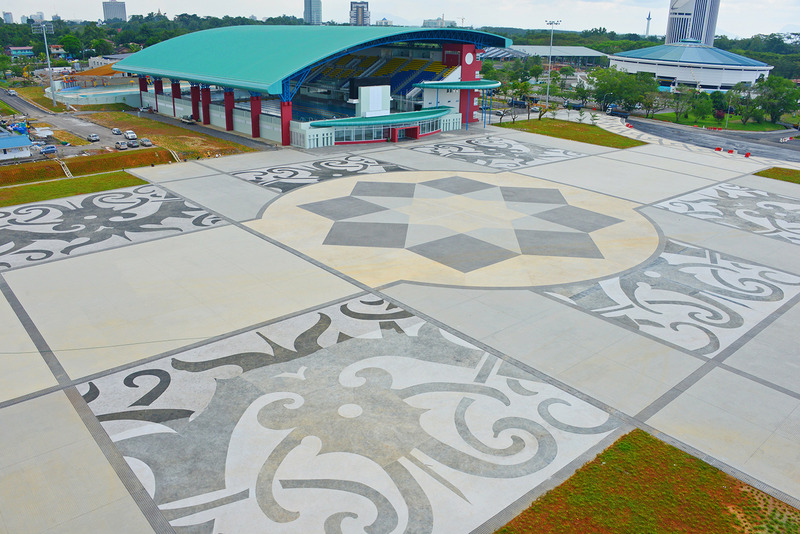 Located just adjacent to the complex is the Celebration Square, which was proudly designed to incorporate Sarawak’s indigenous cultural motifs. The Pandelela Rinong Aquatic Centre was shortlisted by the Malaysian Institute of Architects in its annual list of outstanding new works in its year of completion. In the building’s early design stages, architectural firm Perunding Dayacipta drew inspiration from Sarawak’s divers and studied the leading facilities in the region, incorporating a versatile mix of pleasing aesthetics and functionality. This sports facility gives equal emphasis to both athletes and spectators. The pools, diving platforms, grandstand, generous pedestrian ramps and staircases are all situated below the same sweeping curved roof. Views are unimpeded, and the thrilling atmosphere during competitions has no doubt contributed to the growing aquatics interests among Sarawakians.